Published on January 12, 2013 in Uncategorized. Closed Tags: court case, court decision, detention, detention conditions, escape, greece, igoumenitsa. 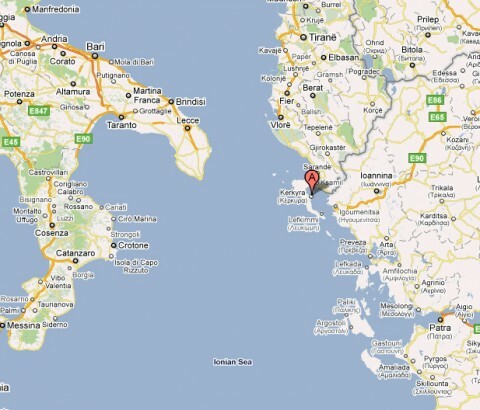 Today, the single-judge formation of the Criminal Court of First Instance of Igoumenitsa in northwestern Greece (Μονομελές Πλημμελειοδικείο Ηγουμενίτσας) has returned a remarkable decision (Nr 682/2012) in a prosecution brought against a number of immigrants awaiting expulsion who escaped a local detention centre. The decision was taken in November 2012 for the case of almost 15 migrants who had escaped from Igoumenitsa prison only one month earlier (September 30th). As the judge ruled: “You escaped from humiliation and this is why you are free now!” Many of the in Greece detained migrants try to escape the up to 18 months reaching administrative detention but are caught sooner or later then finding themselves charged with “escape” and other criminal categories, that might put them behind the bars for even longer periods. Published on October 24, 2012 in Uncategorized. Closed Tags: detention, greece, igoumenitsa, sans-papiers, self-injured, struggles and resistance. Eleven of the migrants who were being detained at holding cells in the port of Igoumenitsa have been taken to the hospital to have injuries treated following a protest against the conditions they were being held in. Authorities said the 11 were injured when they started banging their heads and bodies against the bars of their cells. Skai TV and radio reported that there is only capacity to detain 30 people but there are currently about 90 being held at the port. The detention centre is known for overcrowding under miserable conditions. Minors, families and children are held as well as men. Some minors in earlier days had reported having been closed up there for up to a month. Published on March 12, 2012 in Uncategorized. Closed Tags: greece, igoumenitsa, patra, sans-papiers, transit, video. Published on February 7, 2012 in Uncategorized. Closed Tags: afghan, border deaths, greece, igoumenitsa, killing borders, transit. 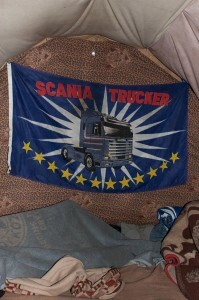 Three young Afghans 20-23 years old died due to suffocation when they were trying to reach a port of exit hidden on a truck. The truck was transporting cottonseed and headed most probably towards Igoumenitsa. The three corpses were found nearby Parga. The Coroner Theodoros Bougiouklakis who made the autopsy. The bodies were then transferred to Ianena University Hospital. One of the Afghans who had been together with the three inside the truck had informed via telephone on the day of the incident the family of one of them about their tragic death. Relatives then informed the Greek police who was searching for the three but could only find them yesterday since they lacked exact information on the place the corpses were left.